The compact mini swivel system of the Focus and Axis mini swivel taken to creative extremes. Shackles on both sides of the swivel allows fitting to fixed eyes on either end creating a rotational element that takes up less height in a system than most connectors do. Available in three configurations depending on the user's requirements. 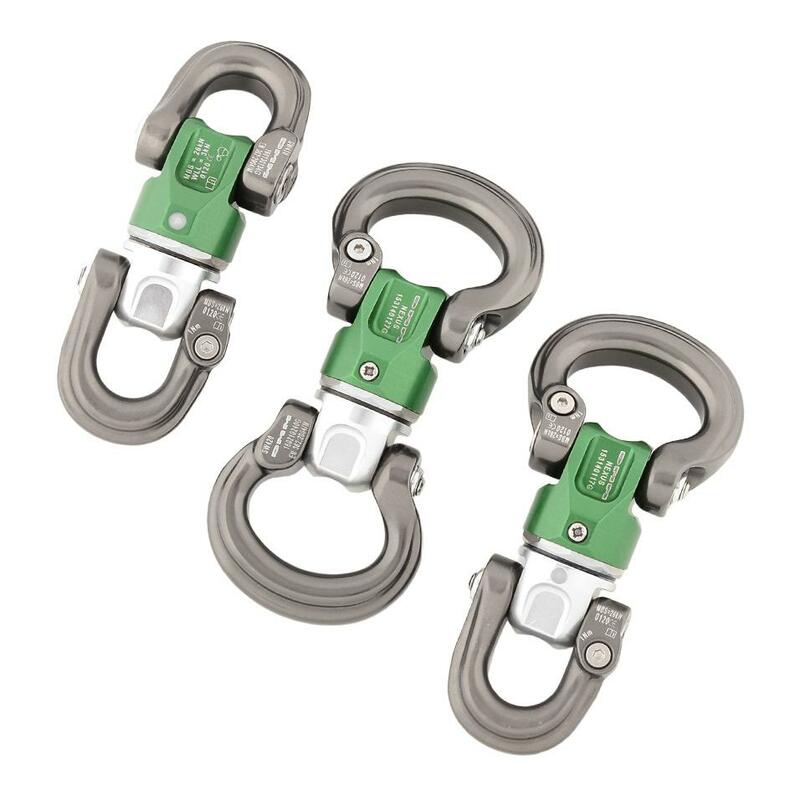 The small D shaped shackle keeps inline attachments neat and predictable whereas the increased size of the bow-shaped shackle allows more complex set ups by catering for loading across the shackle. A combination of both is also available.